I may have went on a bleary-eyed gift spree last weekend during the Black Friday and Cyber Monday frenzy, but I still find it hard to believe that it's December and Christmas is right around the corner. If you're still looking for unique presents, feast your eyes on this holiday treasury, chosen by the lovely Meri of Elbit Enterprises. 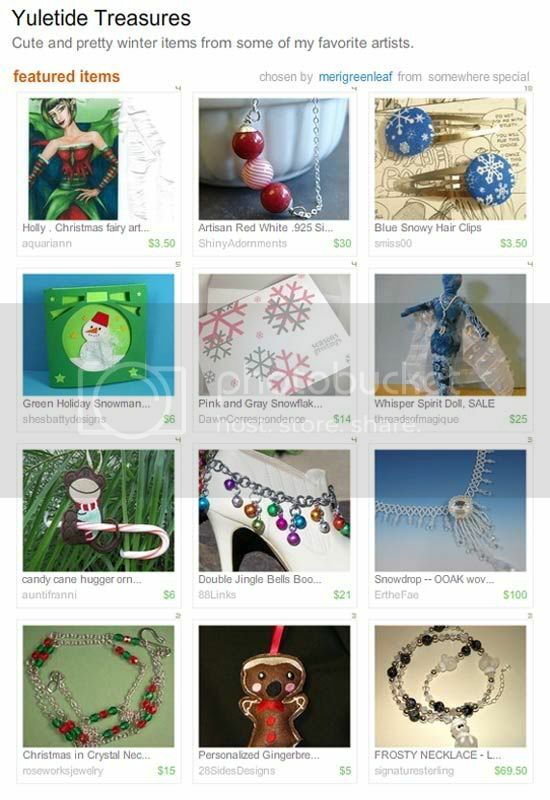 My Holly fairy bookmark is the first featured! *twinkles* But hurry, this bundle of toys flies away on eight tiny reindeer Thursday, December 3rd at 9:24am. I know! How'd it get to be December already? But I've barely started making gifts! ... and yet I do this every year- I say I'll start early and then never do, lol.